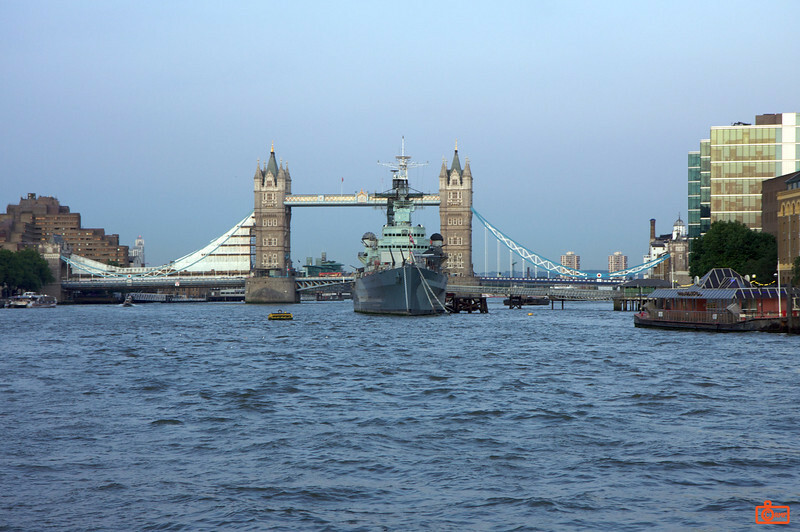 The Tower Bridge and HMS Belfast. HMS Belfast is permanently docked as a museum ship. It dates back to World War II.